So how economically weak are we then? Well there isn't such a straight forward answer to that because official data is quite hard to come by. There is this report by Oxford Economics which dates back to 2004/2005. And to look at the data you would immediately think that Wales is far too poor. And then there was a more recent report by CEBR Which pointed to more or less the same thing. Those two reports were conducted six to seven years apart but they both show Wales being in deficit by around 33-35%. Note I used the word deficit and not subsidised. 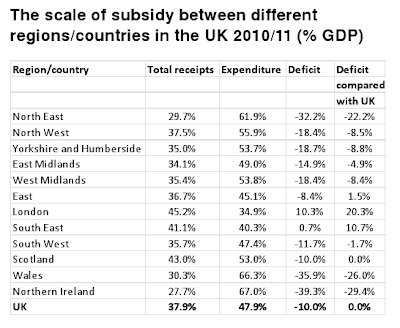 You see the people of England will happily tell you that Wales is subsidised by the English. But I prefer to use the word deficit and there is a really good reason why. The UK is currently over a trillion pounds in debt. 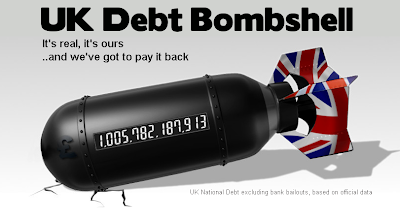 This debt has built up because the UK is in a constant state of annual deficit. So it has to borrow to make up it's shortfall. 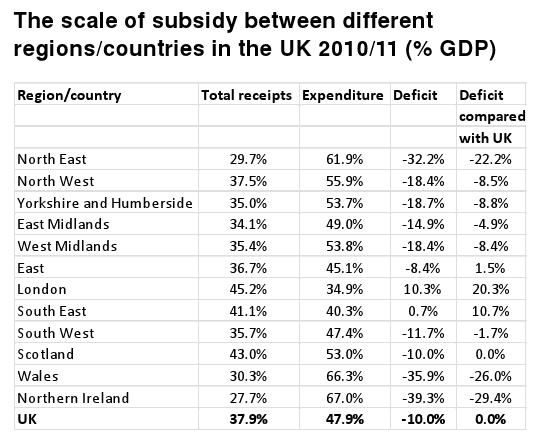 And this is why I use the word deficit when talking about Wales, for if I was to say that Wales was subsidised by England then that would mean that the entire UK and therefore England was also being subsidised. Now there's a dilemma. How would the Daily Mail readers handle that headline? And whilst the UK deficit may have ballooned out of all proportion as a result of the economic crisis, it's pretty much always been there. As far as I'm concerned it has anyway. I was born in 1979 which by some sort of cosmic magic is where this next chart begins. So when I was born the UK was already being subsidised to the tune of £9 billion. By the time I was 5 the deficit had swollen to £12 billion and only then did Thatchers government start to make inroads into it. For me the 80s were all about Transformers, Jayce and the Wheeled Warriors and believing that WWF wrestling was real. For those old enough to remember the harsh realities of the 80s better than I can will know all to well just how hard the cuts were to make that reduction happen, (please feel free to share any of those 'happy' memories below). Finally by the time I was 9 the UK annual spending was in the black. 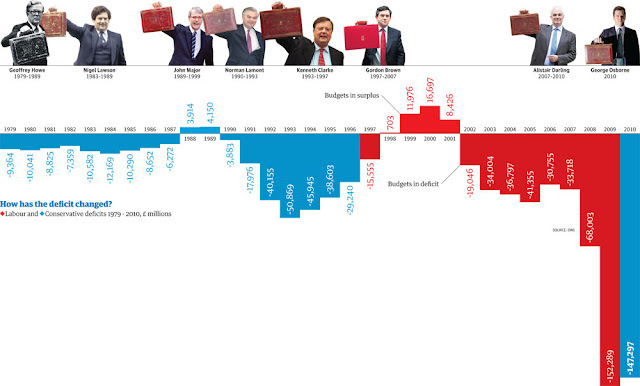 But not for long, after two short years the UK was back in deficit again. Peaking at £50 billion in '93 before falling to £15 billion just in time for Labour to take control of the record player and lead UK to four whole years of positive figures. Again though, just like D:Ream's music career it was short lived. In 2002 the deficit was back with a vengeance. At £19 billion it was more than when Labour first took over and went on to peak at £41 billion. It fell the next year, rose slightly the next and then after that the whole world went crazy. The financial crash of 2007 saw the UK's annual deficit double from £33 billion to £68 billion and then double (and then some) to £152 billion. This pretty much secured the fate of Labour. It didn't matter that both parties had built up deficits and reduced deficits in the past few decades. This new massive deficit meant only one thing. A Tory led government was guaranteed. Although in reality they required the support of the Lib Dems, whilst virtually the entire media led a campaign begging the electorate to vote Tory the majority of them also had a better memory than me. Either that or all the public sector jobs D:Reampt up over the past decade weren't enough to save them. For the first time in many of our lives the UK was run by a coalition with the Tories firmly in the driving seat. In the first year the yearly deficit was reduced to £147 billion. But we have to remember that all these yearly deficits have built up upon each other. And in the first 30 years of my life the UK had amassed a deficit of over £1,000,000,000,000. That's one trillion AKA a monumental figure AKA a one and twelve zeroes. And for every single year when the UK spends more than it earns this deficit goes up. Even breaking even would see the deficit increase on interest alone. In fact in 2010, when the above chart finished the interest alone was £42 billion. 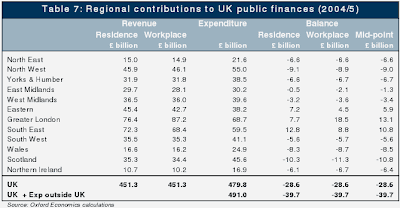 In 2011 the annual deficit of the UK stood at £143 billion and for 2012 the initial target of £122 billion in the red is believed to be looking closer to £150 billion. For the next graphic I will use the figures from the above chart and add the figures for 2011 and the very generous esitimated figure for 2012. As above Tory governments are in blue and Labour in red. The excellent debt bombshell website puts this figure at just over £1 trillion (figure correct as of 25/03/12). So now think back to Leanne Woods' comment about the chicken and the egg. 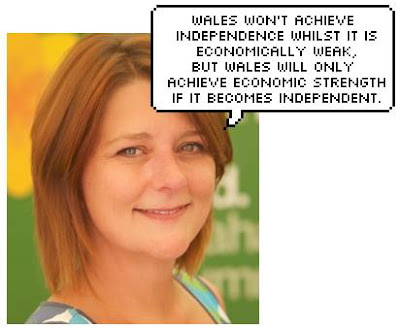 An independent Wales would be able to borrow money just as any other country can. 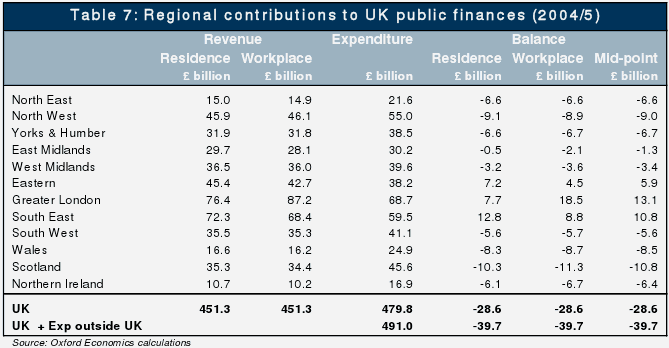 The difference is that an independent Wales would be able to use this money to build itself up rather than the UK governments mission of decimating the rest of the UK in favour of boosting London and the south east. We could borrow in order to invest in our future and our children's future instead of giving each baby born in the UK a share of the trillion pound debt. It works out as just under £16,000 per person in case you were wondering. 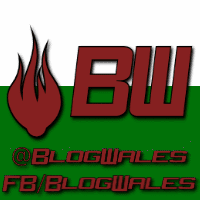 So congratulations Mr Cymru. You have been pre-approved for a credit card. The only thing you need to do now is to become independent so that you can use it. As always, here is a video to help share the message. A couple of comments ... Wales is not poor. I've traveled in sub-Sahara Africa and Central America. I witnessed real poverty face to face. I choose to call Wales my home. It's a great place, warts and all. It's not poor by a long shot. Not only are we not subsidised, if you are at all in debt, regardless whether it is a mortgage, credit card, or whatever, you are a subsidiser. We supply the money and give up our freedom in return. There can be no independent country or people why debt slavery persists. BTW, the UK deficit started with the establishment of the bank of England in 1695 and has continued to grow since then, as it should, if we want to run an economy almost solely on private bank's lendings. With regards to the PSBR, it will continue to increase every year just to stave off economic colapse - a sad result of basing the entire money supply (98%) on interest-bearing debt. Every year the money supply will inflate and the value of the pound will decrease. This is not a 'prediction'. It's simple math. nit has to be ... unless ... we establish a sound money supply for Wales not based on debt. Such a simple thing to do. Don't even need 'independence' to do it. But we have to start thinking outside the debt-box. We have to start thinking outside of the single currency strait-jacket box too. (whether £ or €). The real question for Plaid Cymru and Leanne is this: Do we want to continue to try and patch up and work with this fraudulent mathematically suicidal debt-based monetary system? - or are we brave enough to shift the monetary paradigm? I believe your site proposes a system where the banks borrow from the government not the other way around. Which sounds perfect but are there any real world examples of countries doing this? And if not, why not?